The parable in Luke 15:1-7 can be seen from three angles. The dilemma of the shepherd is whether or not to leave the ninety-nine and go in search of the one lost sheep. It may not make sense economically and rationally, but he leaves them anyway and begins his search. The poor sheep has wandered away and is lost-not hopelessly so, but lost. The sheep does have hope, and it rests with the shepherd whose love for her is so vast and so relentless that he won't rest until he finds the sheep. And then there's the ninety-nine. Their attitude and behavior toward the lost sheep is paramount in the story. Will they join in the search? Will they celebrate with the shepherd once the sheep is returned? Or will they criticize and whine about how the shepherd spends all his time searching for the one who is lost? 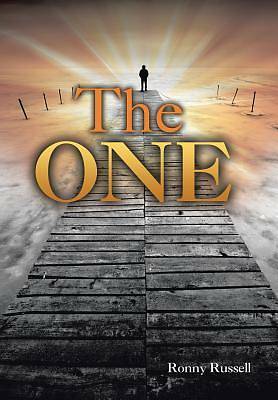 The One explores the foundational nature of this parable and how important its implications are for the church and one's own walk with the Lord. The value that God places on the one is life-changing for those who come to understand it. "An intense and powerful vision shared through the lens of author Ronny Russell's personal and professional spiritual journey. Authenticity is found in every paragraph that rings with empowering truth, inspiration, and encouragement for the one. ... I have watched Ronny's journey for decades and found his passion to be deep, contagious, and transformational for the one and the remnant who seek meaning in our fast-paced world filled with churches that often miss the one to preserve the institution. Ronny serves Christ above all and finds hope in God's calling and gifting as a member of the body of Christ. Truly a worthy and engaging read "